Fredericton (April 11, 2013) : More than 300 delegates at the CUPE NB 50th Convention in Fredericton called upon the federal government to gradually phase in doubling of Canada Pension Plan benefits for all working Canadians. 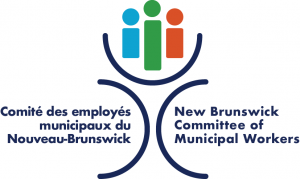 “This move will make a huge difference in the lives of working Canadians in a time where retirement insecurity is growing”, said Daniel Légère President of CUPE NB. This June, finance ministers from across the country will be meeting to decide on expanding the Canada Pension Plan. “The majority of provincial finance ministers agree it is time to expand the CPP, and are forcing the conversation forward this June. In New Brunswick, we have extra work to do because Premier David Alward has yet to champion CPP expansion. We can help push for real change by focusing on retirement security”, said Légère. Delegates also signed a petition calling upon finance ministers to move forward on this important issue.